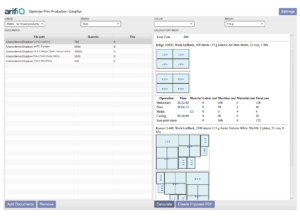 arifiQ Development today announces the new arifiQ Optimizer, which identifies the most cost-optimized imposition and production paths for single and gang-run jobs; automatically creates sheet-sized, imposed PDFs; and transfers the imposed PDFs directly to any prepress or digital workflow system. 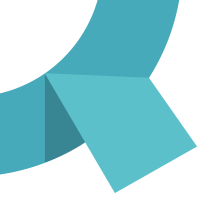 arifiQ Optimizer will be available as a stand-alone application via the cloud or desktop on December 1. 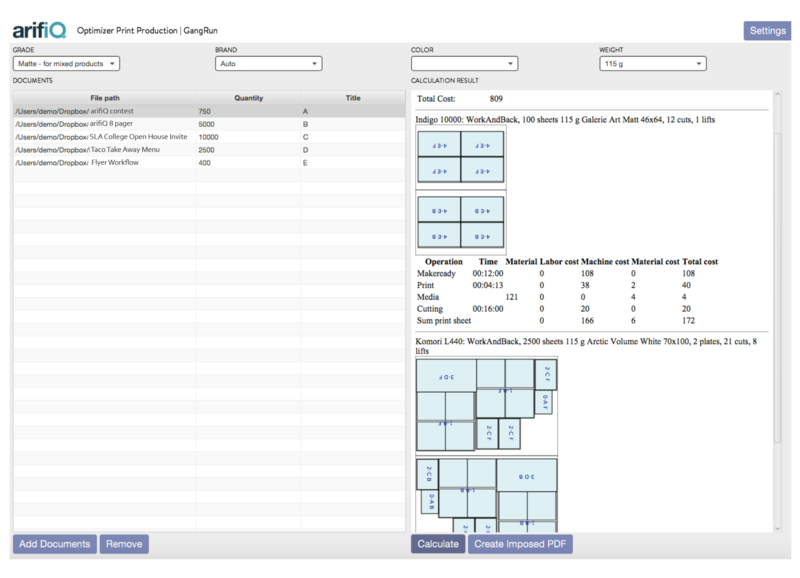 Screengrab of the arifiQ Optimizer showing Gang-Run imposition sheets and production specs calculated and ready to submit to the hotfolder as Imposed PDFs. The operation takes one click, 3 seconds, and no human decision-making. One of the greatest competitive benefits of arifiQ Optimizer is that it does not require use of predefined templates; resulting in substantial time savings and many more options for ganging. It also eliminates numerous human touches in production planning and prepress (production path, lay-out/impositions). “This functionality is a dream come true for both the production manager and the prepress operator,” says Stefan Karlsson, CTO at arifiQ. “We have wanted to plug this gap because it has long been a process in desperate need of automation. First, arifiQ Optimizer accepts any number of PDFs. Then, in a period of time that only spans a few seconds to a few minutes, the Optimizer calculates the most cost-effective and least wasteful imposition and job production path. The single or gang run jobs are automatically transferred to the prepress- or digital workflow system as imposed PDF sheets. A video showing the process is available at https://arifiq.com/video-2/. The Optimizer is a substantial time saver for prepress operators, as the tasks of selecting a press, finding the right templates and paper sizes, and doing the layout of the pages, are all taken care of. The Optimizer eliminates the vast majority of choices and checkboxes in a typical prepress system (along with the risk of human error). The imposed PDF files are stored in a hot folder, to be picked up by a traditional prepress or digital workflow system, and then the sheets can be released to CTP or a digital press. When combined with arifiQ PRO’s quote and order system, arifiQ Optimizer offers a true, automated workflow starting at the print customer or the sales person, and progressing through to production. arifiQ technology can also be integrated with MIS/order systems. arifiQ Development is a Swedish company that has, and will continue to, develop several applications, plug-ins, and modules based on its unique and powerful technology platform. The idea that catalyzed arifiQ’s establishment was the founders’ recognition that the wait for quotes, and then approvals, was a major cause of frustration for customers and printers, both. They felt that solving the problem by making the quote process faster could have major, positive ramifications for the industry. The company built a core technology, the arifiQ engine, in order to develop what is now the flagship product in the arifiQ product family: arifiQ PRO. The arifiQ product family today includes the new arifiQ Optimizer, arifiQ PRO, Plug-in for InDesign, deQuote for quick print, and a Large-Scale Estimator for enterprise and high volume environments. The arifiQ MIS modules are: Gang-Run, Scheduling, Stock Control, Extended Statistics and Multi-Site. arifiQ also develops custom APIs so that any system or application can utilize arifiQ technology. For more information, contact arifiQ at info@arifiq.com. All products and services are trademarks or registered trademarks of their respective owners and are hereby acknowledged.